Since his teens, owner Doug Paddock has been working on cars. As his knowledge and technical expertise grew, so did his passion for high-performance vehicles. As a result, he’s been servicing BMW’s and Audi's for nearly 30 years. 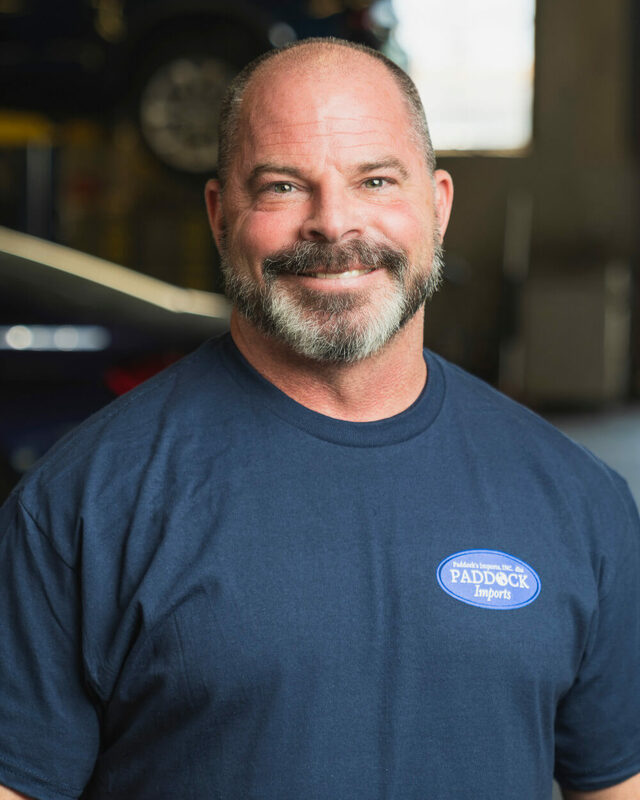 Doug recruited a team of automotive service professionals that combine certified automotive expertise with a drive to keep customers’ vehicles running at optimum levels. When it comes to servicing import vehicles in Denver, Paddock Imports goes above and beyond in all aspects of scheduled maintenance, from basic oil changes and fluid flushes to cabin filter replacement and new brake pads. Whether you’re driving an Audi, BMW, Mercedes or Mini Cooper, we’ve got the parts and the know-how to keep your car in top condition for many thousands of miles to come. Sometimes even the best-maintained vehicles occasionally suffer what can only be described as a catastrophic failure of certain components. It can happen through regular wear and tear, or from circumstances beyond the driver’s control. What’s most important in those situations is not just replacing the broken components, but making sure that there hasn’t been any sort of secondary damage to the vehicle as a result. Our ASE-certified mechanics will go over your vehicle, repairing or replacing components that need it, as well as checking to make sure that other components haven’t been damaged as well. While we’re certainly admirers of the way that cars like BMW and Mercedes are put together, and how their stock components are high precision pieces of equipment already, there’s an undeniable urge even among import owners to take their stock vehicle and turn it into a custom tuned machine that further blurs the line between street legal and race ready. If you’re one of those import owners who feels the need for speed and is ready to soup up your import, we not only have the parts you need but the experience to help make sure you can get the most bang for the buck out of them. All of these services are made possible by the incredible team of technicians that we have on staff. Between them, they’ve got more than a century of collective experience wrenching on European imports and the certifications to go with them. Each one of them is a highly skilled professional who will work diligently no matter how great or small the task. We’re more than just proud of our team. Without them, we literally could not stay in business. Our technicians’ mission is to take care of your vehicle. They use experience hardened expertise and high end computer fault-finding to diagnose the problem. Once approved by you, they make the corrective fixes necessary to get you back on the road.